Homework battles happen daily throughout the country and in order to avoid the inevitable struggle it is important to establish routines and expectations with regard to your child’s homework. It is best to establish these when your child first starts bringing homework from school, but if your child doesn’t already have a particular homework routine it is never too late to start. Routine is vitally important because any child when left to their own devices will usually choose to watch television, play or anything other than homework. First of all expectations must be set for your child. Discuss expectations about a homework routine with your child and have them involved in reaching an agreement about their routine, including any rewards or sanctions. This can be a verbal agreement or a written contract that both you and your child agree on and sign together. The agreement or contract can be reviewed periodically to establish whether or not the routine is suitable and working well. Changes can be made accordingly. One of the elements of the contract should include a regular time that your child will do their homework. It is very important that this time is adhered to every day if possible.Decide on an appropriate place that your child will do their homework. This should be a quiet, comfortable area with adequate lighting and a desk or table to work at. Restrictions such as no telephone, no television and no loud music can be included in the contract. When homework is finished it is important that it is checked through, first by your child themselves and then by a parent. Your child should be responsible for putting all their homework and necessary books and equipment into their bags for the next day.The monitoring of a child’s homework progress varies from child to child. Some children work very well independently, others need more help. It is essential that a parent be available to the child while they are doing their homework and to thoroughly check work when complete. Be alert to any teacher comments that may be left on homework. If any issues with regard to homework arise they can be discussed with the child’s teacher. Such issues could be unclear homework directions, homework that is too easy or too complicated, difficulties your child may be experiencing in organising themselves or not having the correct supplies or equipment available at home for completing the homework. Work with your child’s teacher to find a solution and take the opportunity to be involved with your child’s education. It is important that parent’s are on the teacher’s side with regard to homework. If parents are supportive and encourage the child to follow a routine it will be of huge benefit to the child. 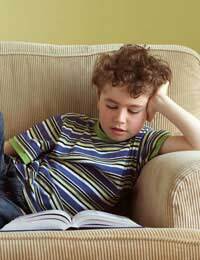 Parental attitudes towards homework can have a huge bearing on a child’s own attitude towards their homework. Patience, perseverance and a positive attitude are the best approach to take. If you help your child to establish a routine, and support and encourage them in following that routine, some of the usual homework struggles can be avoided and homework time can become more rewarding and productive experience for both parent and child.